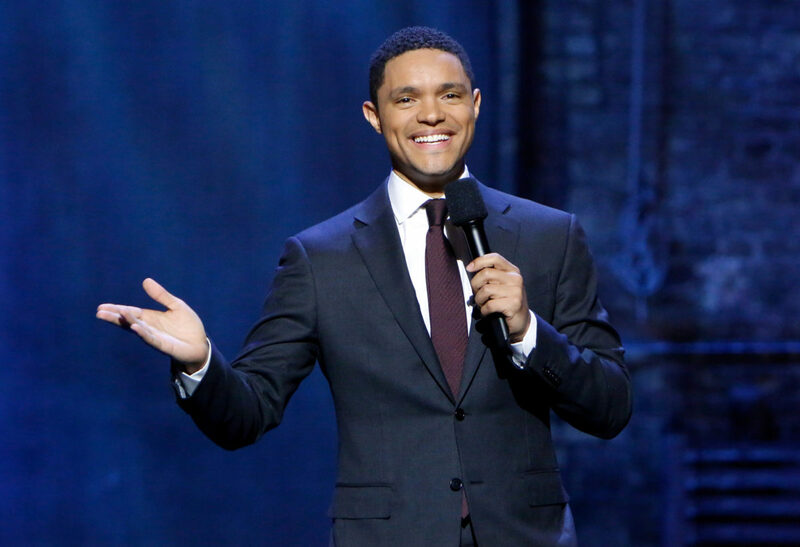 Comedy Central’s “The Daily Show with Trevor Noah” is filming in Chicago this week and paying tribute to the city during its stay. The show began filming five “undesked” episodes at the Athenaeum Theatre (2936 N. Southport Ave.) Oct. 16 and will continue filming through Oct. 20. “Undesked” episodes are structured the same as a normal Daily Show production, except Noah delivers his jokes standing rather than sitting. This week the show will cover Chicago-centric stories, such as gun violence on the South Side, and welcome special guests native to the city. 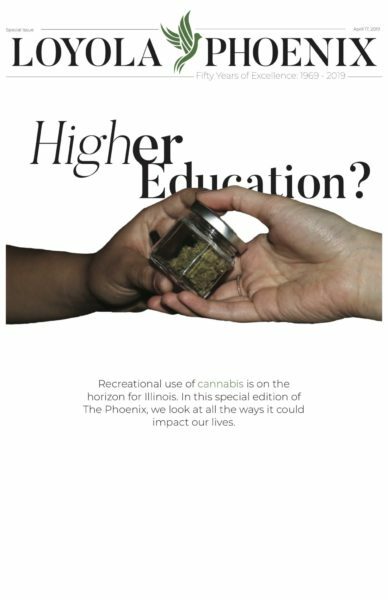 The PHOENIX attended the Oct. 16 taping and spoke to Daily Show correspondents Hasan Minhaj and Desi Lydic about The Daily Show’s week in Chicago and how the show navigates today’s complex political climate. Minhaj and Lydic said nearly everyone on The Daily Show is excited to be in The Windy City. With only a week to spend in the city before returning to New York, Minhaj and Lydic have a few activities to scratch off their Chicago bucket list, including a pilgrimage to Michael Jordan’s statue, visiting “The Bean” and trying authentic deep-dish pizza. They said the majority of their week, however, will be spent working. As correspondents, Minhaj and Lydic also attend production meetings throughout the week to plan their “remotes,” or pre-recorded comedy bits filmed outside the studio. Minhaj believes his role as a correspondent is to provide laughs above anything else. The whole team has to rehearse for every show, although they’re aware that plans may change. Because of the nature of the news cycle, The Daily Show’s content is directly dictated by each day’s biggest headlines. One of the most difficult headlines the show had to deal with was Donald Trump’s victory in the 2016 presidential election, according to Minhaj and Lydic. The highlight of the Nov. 9 show, according to Lydic, was Minhaj’s chat with Noah at the desk about the festering fear and anger among America’s marginalized groups. Trump’s presidency has become the main point of discussion on The Daily Show, and Minhaj believes it’s only made the team better at its job. “He’s forced us to elevate our game,” Minhaj said. Trump had a heavy presence once again in The Daily Show’s Oct. 16 episode, with a focus on his handling of Chicago’s rampant violence. Noah said Chicago has more to offer than crime statistics, despite what Trump may lead one to believe. The respect and admiration Noah has for Chicago was palpable during the taping. In a short Q&A with audience members before the cameras started rolling, he praised Chicago’s “unique vibe” and said it’s “one of the best cities in the world.” He also claimed he was a Cubs fan. Even the atmosphere in the theatre paid homage to The Windy City, with “Sweet Home Chicago” by The Blues Brothers playing before the show. The stage was decorated with faux metal support beams like the ones used to support the “L” tracks downtown. In the background, the walls were covered with brick-pattern wallpaper and fake ivy to mimic the outfield wall of Wrigley Field. 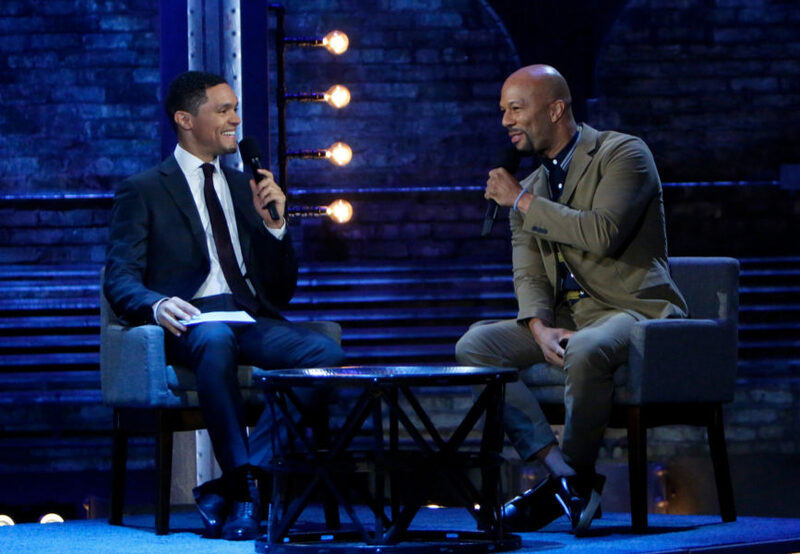 Actor, rapper and Chicago native Common was the special guest on Oct. 16. He spoke about the significance behind his song “Stand Up for Something,” featured in the new film “Marshall” about Thurgood Marshall, and his Chicago-based youth education foundation Common Ground, which focuses on empowering vulnerable Chicago youth and equipping them with the knowledge and resources to avoid getting involved in street violence. Most of Noah’s conversation with Common revolved around the topic of violence in Chicago and methods to combat it, but the rapper also weighed in on the current nationwide political climate. “I believe the people have the power to combat the ignorance and hatred coming from the current administration,” Common said. Everyone at “The Daily Show” seems to respect and admire Chicago, which is a welcome deviation from the typical negative press coverage the city receives. Hopefully the show’s Chicago-based series brings some of the city’s positive aspects to light. 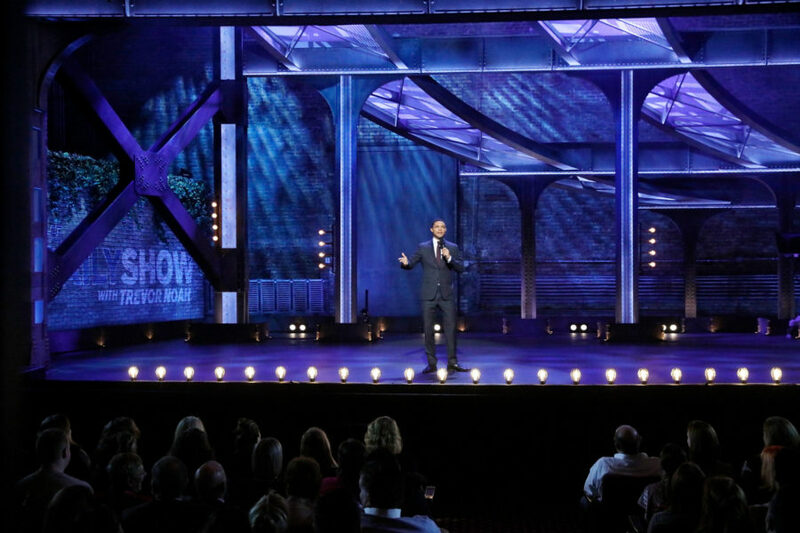 New episodes of “The Daily Show with Trevor Noah” premiere every weeknight at 10 p.m. on Comedy Central.